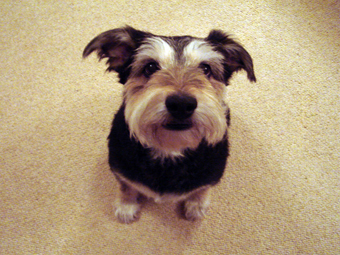 So we’ve put together some basic carpet maintenance tips for basic stain removal and a general carpet care guide. Hopefully this will get you out of trouble, but if all else fails and you need an emergency visit call us on 0845 658 8276 or click the ‘Express Booking Button’ on this page. 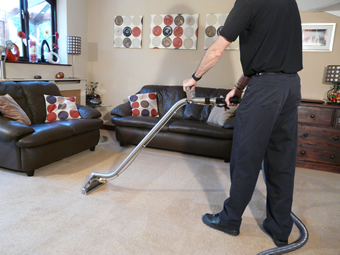 Vacuum Twice a Week – To keep your carpets in tip top condition, regular vacuuming at least twice a week is a must – this removes the tiny particles of dust that can cause premature wear in carpets. 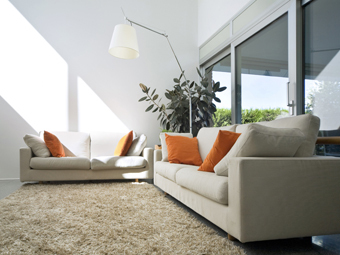 An upright vacuum cleaner with a rotating brush will always work more efficiently than cylinder type vacuums. Someone Walked Mud In? 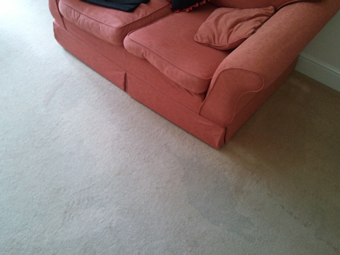 – If someone accidently walks mud onto your carpets don’t try and carry out stain removal until the mud is dry. In most cases once the mud is dry you won’t even need a carpet stain remover, you just need to use a clean soft brush to loosen the dry mud and then your own vacuum should remove it. 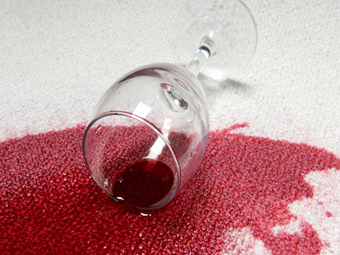 Liquid Spills – Spilt red wine, tea or coffee? Many people make the mistake of panicking and immediately throwing everything from under the kitchen sink at it! All this is likely to do is spread the stain further. First of all, take clean, dry white cloths or paper towels (don’t use anything with colour on it or you’re in danger of putting colour into the carpet too!) and blot as much liquid up as you can. DO NOT RUB! 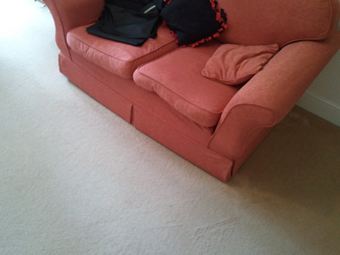 Rubbing the pile can cause burring and distortion of the carpet fibres and leave you with a clean but strange looking patch on your carpet…. 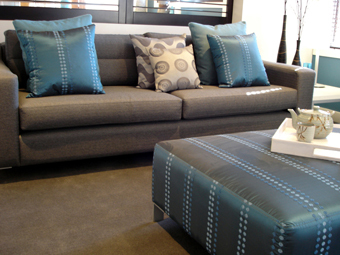 Treat any remaining staining with small amounts of luke warm water, blotting in between applications. 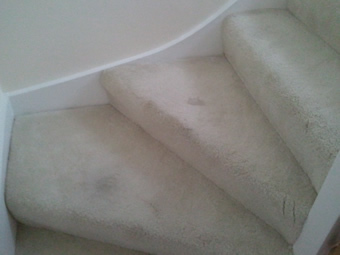 Only then should any residual staining be treated with a reputable carpet stain remover. 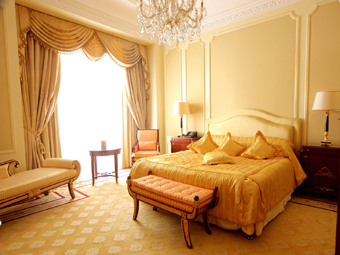 We can recommend you try our own Professional Strength Carpet & Upholstery Stain Remover – click here to order a bottle (suggest this links to the contact form). 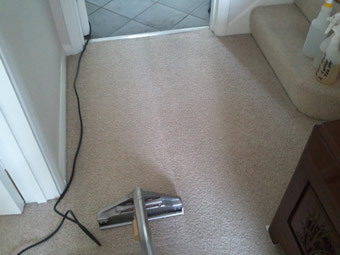 Please be aware many of the shop bought stain removers have artificial brighteners that can adversely affect the colour of your carpet and even set stains – our own A Brighter Home spot remover has none of these. 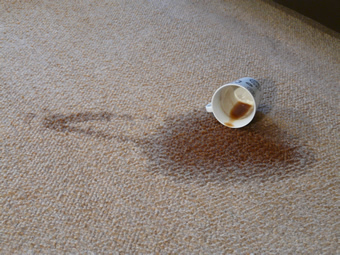 Blood – If you’re unfortunate enough to get blood on your carpet, follow the above advice regarding liquid spills but use only COLD water or you can set the stain. 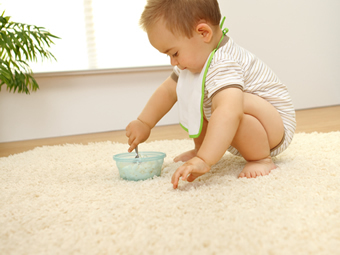 Vomit – Scrape up solids first with a spoon or blunt edged tool, working inwards to the middle of the stain to avoid spreading it further, then follow advice as above for spills. 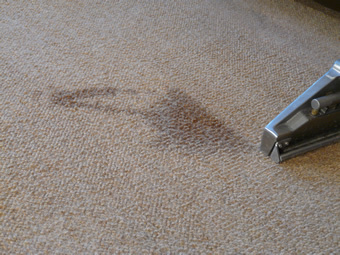 In most cases, by following the above advice and/or using our ‘Professional Carpet & Upholstery Stain Remover’ most stains and spills can be successfully dealt with yourself. 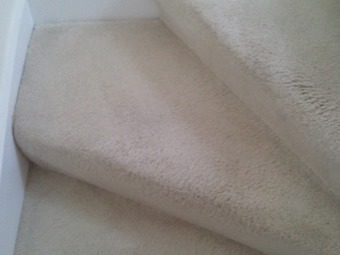 Still need help with an emergency and don’t have any of our Professional Carpet & Upholstery Stain Remover, call us on 0845 658 8276 and we will aim to be with you as soon as possible.